CHRISTOPHER S. MAILE is a Preeminent AV Rated Partner of the Firm in its Sherman Oaks, California office, having achieved the highest rating available to attorneys nationwide. He is also a fellow of the prestigious Claims and Litigation Management Alliance which is comprised of insurance companies, corporations, corporate counsel, litigation and risk managers, claims professionals and attorneys who, through education and collaboration, promote and further the highest standards of litigation management in pursuit of client defense. Mr. Maile represents management in all aspects of employment law, including litigation and counseling. He also regularly defends insurance companies against claims of bad faith and breach of contract; and specializes in defense of insurance agents and brokers. 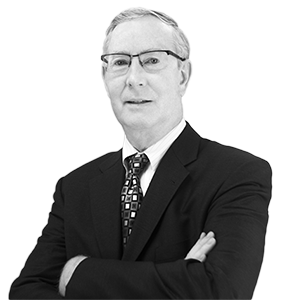 An accomplished trial lawyer, Mr. Maile brings his clients extensive jury trial experience. 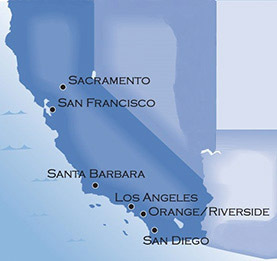 Representing management in all aspects of employment law including wrongful discharge, discrimination, sexual harassment, whistle blower, unfair labor practices, restrictive covenants and non-compete agreements, and proceedings before the EEOC, California Fair Employment and Housing Commission, California Labor Commission and California Wage-Hour Compliance agencies. Counseling employers in all aspects of the employer-employee relationship, including policies, discipline, compensation, workforce reduction, employee terminations, disability accommodation and compliance with various federal and state laws and regulations. Representing insurance companies in disputes with independent insurance agents. Defending insurance carriers in all aspects of claims handling practices and denial of policy benefits. Defending auto dealerships in matters involving consumer remedies, including Truth In Lending Act, Auto Sales Finance Act and Consumers Legal Remedies Act. Winning a five week jury trial for a Fortune 500 company that had been sued by a former Director of the company for allegations of termination in violation of public policy and whistleblowing. Winning a five week jury trial for an attorney-in-fact of a major insurance carrier accused of being the alter ego of the carrier and part of a single enterprise. Successfully defending a nationally-known company in a six-week jury trial against claims of bad faith, alter ego and single enterprise. Winning a five week bench trial against an employer accused of misclassifying an independent contractor District Manager. Winning a two week jury trial against a client accused of being the alter ego of its affiliated companies. Successfully defending an auto dealership against allegations of violations of the Auto Sales Finance Act, Consumers Legal Remedies Act and Unfair Business Practice Act. Winning an eight week jury trial for a major insurance carrier regarding the termination of an agent who claimed breach of contract and conversion. Successfully defending a nationally-known company in a six-week jury trial against claims of wrongful termination, discrimination and retaliation. Obtaining a defense verdict for a national insurance company in a consolidated case involving breach of contract, misappropriation of trade secrets and fraud. Defending a large trucking company in a lawsuit brought by a terminated employee involving allegations of age discrimination, medical condition discrimination and wrongful termination. Representing a major insurance carrier in a lawsuit by a policy holder involving wrongful denial of policy benefits.